Fred Thurston, grandson of Packers legend Fuzzy Thurston, and Blaine Hornes II dish out the latest and greatest on the Green & Gold in The Sweep. They grew up playing football together, now they have their own show. 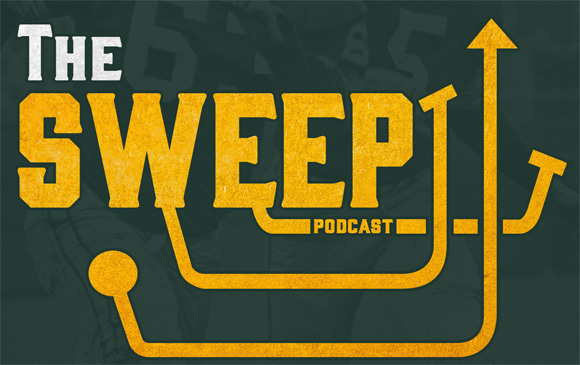 Part of the Pack to the Future and Packers Talk families, the Sweep provides a fun combination of football knowledge and experience. Check PackersTalk.com for a variety of Packers podcasts. This entry was posted in Packers 2017-2018 Season, Podcasts, Seasons, The Sweep and tagged 20-17-18 season, Chicago Bears, Detroit Lions, Football, Green Bay Packers, matellus bennett, NFL, Robert seglinski, the sweet, windy city gridiron. Bookmark the permalink. Our defense is not good. Out with the old and in with the new. That is, K.Greene as DC, and J.Leonard as Co d-coordinator and d-backs coach. If not get Wade Phillips. How about that?